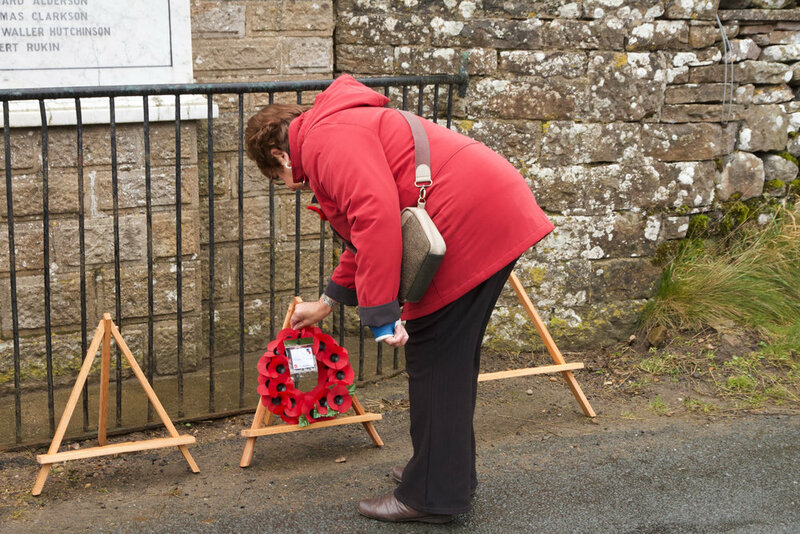 On 11 November 2018, over 90 people gathered at the Keld War Memorial to remember the four men from Upper Swaledale who lost their lives in the First World War. 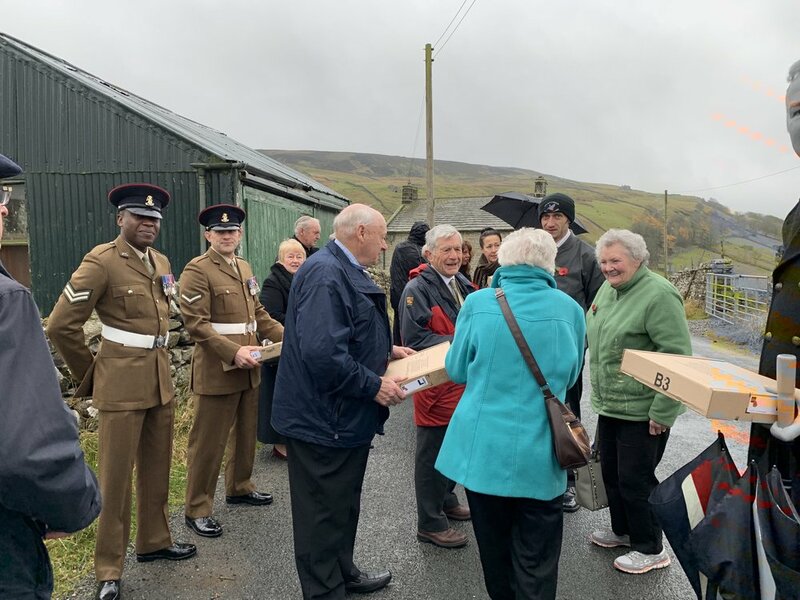 Relatives of all four men laid wreaths along with representatives from the Yorkshire Regiment, the regiment in which most of them served. 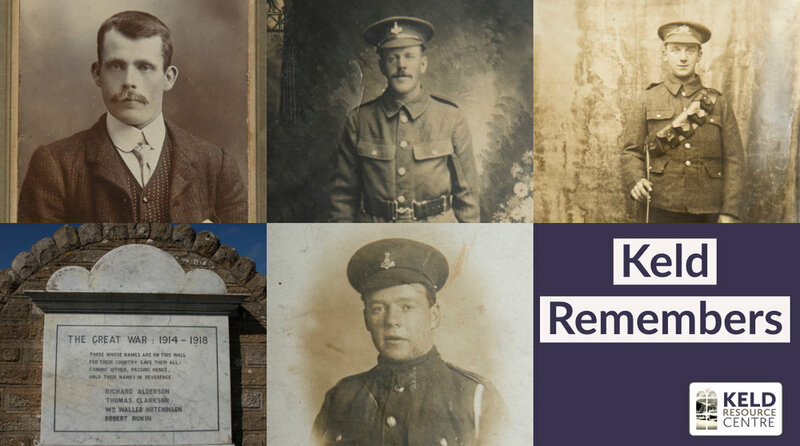 In 2014, Keld Resource Centre volunteers began researching the story behind their lives and deaths. 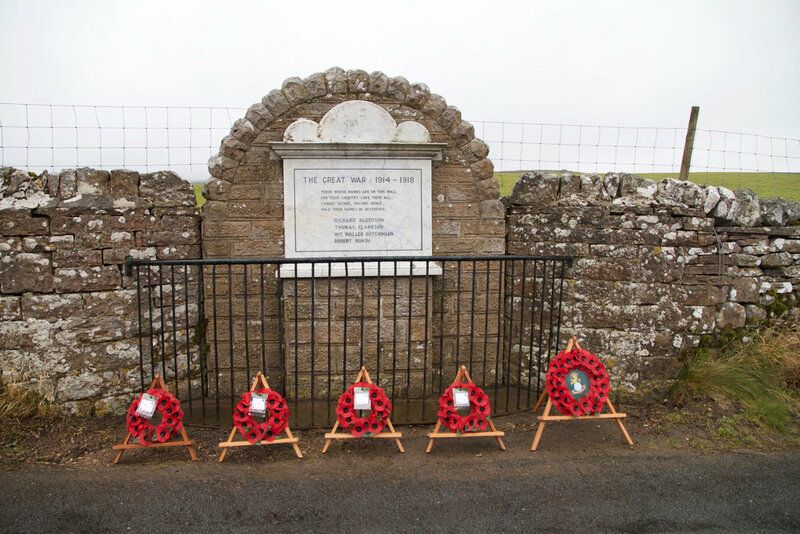 The community came forward and provided a wealth of information and primary historical evidence which sheds light on the events of a hundred years ago and how, even in this remote corner of northern England, no community was left unscathed by the Great War. In the early years of the last century, Keld was an isolated place, reached only by rough tracks and unpaved roads. The village made its own life, through the village institutions - the Chapel, school and Literary Institute, the Cat Hole Inn and the Keld Band. The brief economic boom associated with lead mining had gone, leaving the local economy entirely dependent on agriculture. But the First World War changed everything. And when it ended, a hundred years ago, four men from this tiny village would never return. Richard Alderson was born at Skeugh Head, Angram, the elder son of William Alderson and his wife Margaret. He and his five siblings attended Keld School and after leaving Richard worked on the family farm, also being a member of Keld Band. When recruiting officers came to Swaledale, Richard quickly signed up, joining the Yorkshire Regiment and quickly being sent to France. He was wounded during the Battle of the Somme in 1916, and sent back to England to convalesce. In early 1917 he returned to the front and was killed taking part in a raiding party in the run up to the Battle of Passchendaele. He has no known grave, and so is remembered on the Menin Gate at Ypres. Thomas Clarkson was the youngest child of John Clarkson, a coal miner and horse driver, and his wife Ann. When the war started he was a farm labourer at Angram near Keld. He enlisted quickly and was initially posted to the 7th Battalion, the Yorkshire Regiment, but transferred later to the Durham Light Infantry, transferring to France shortly afterwards. Thomas was wounded in the head on 14 April 1917 at Etaples, being sent home and admitted to the King George Hospital in London. Thomas developed meningitis and died there on 30 April 1917. His body came back to the dale for burial, and lies in Muker Churchyard. William Waller Hutchinson was called up in 1917. At the time he lived at the Cat Hole Inn, which was run by his mother, and was working as a clogger’s apprentice at Bridge End. 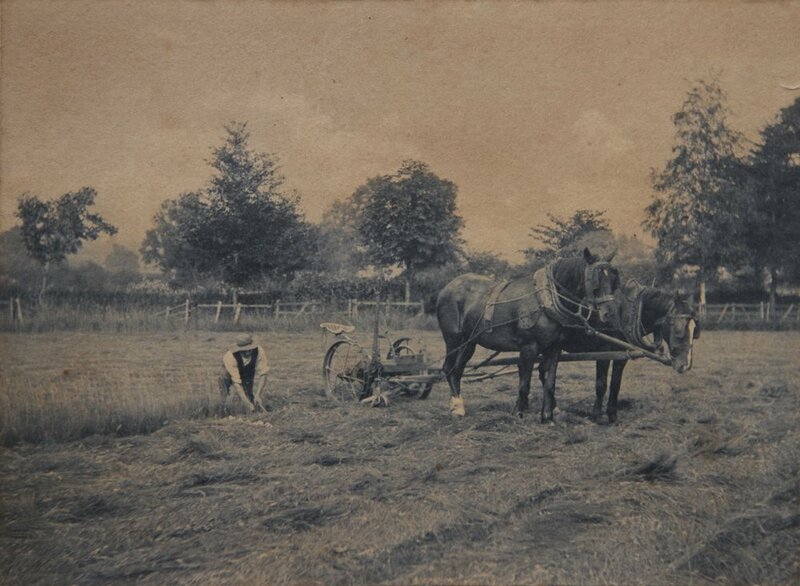 He was posted initially to the Lincolnshire Yeomanry and in January 1918 was transferred to the Lincolnshire Regiment. He was wounded in the face on 23 March - a bullet went in one cheek and out of the other taking out all of his top teeth except three. Sent at first to the 41st Stationary Hospital at Grailly he was then invalided back to England and was operated on in Leeds, where he stayed for several months until some false teeth were ready. Following training as a Lewis Gunner in Cork, he returned to his old battalion in France in October 1918. 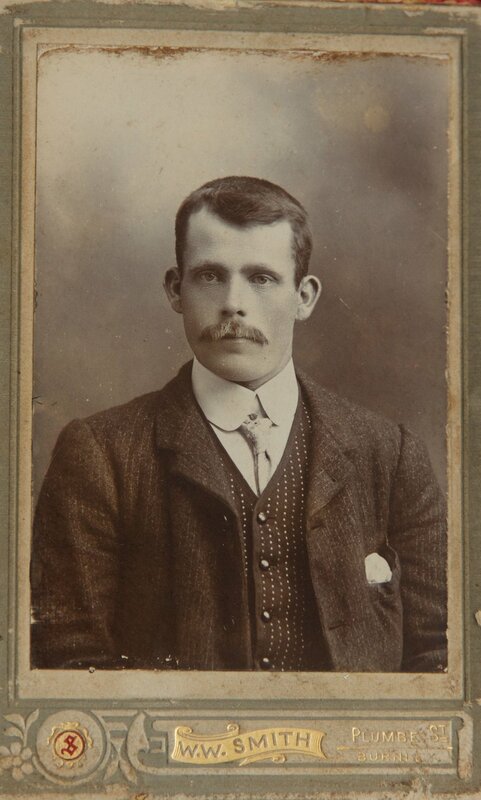 He soon succumbed to influenza and pneumonia, dying on Armistice Day in 21st Casualty Clearing Station in Caudry. He is buried in Caudry military cemetery. 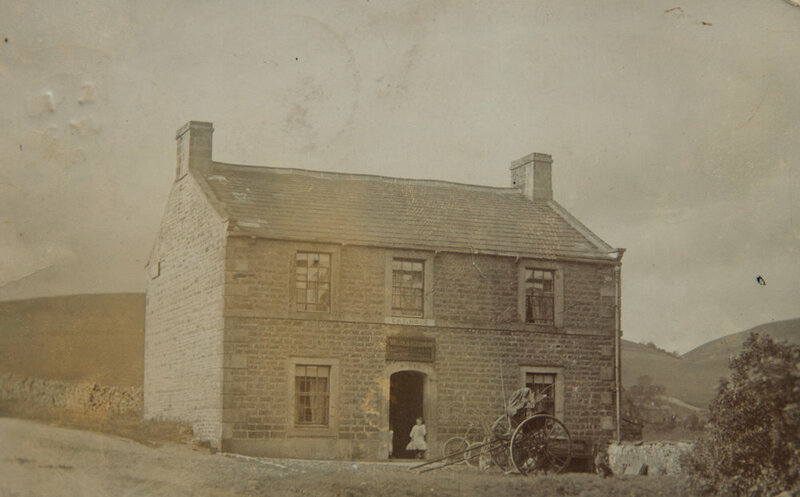 Robert Rukin was born at Parks Lodge in Keld, and was the eldest child of James Rukin and his wife Sarah. Before joining up he worked as a shepherd. After enlisting he was sent to Hartlepool for training and witnessed the Zeppelin raid there in October 1916. In January 1917 he embarked for France as reinforcements for the 6th Battalion, which had sustained heavy losses during the Battle of Passchendaele. Many of Robert’s letters home survive, and reveal a man desperately trying to keep his spirits up by concentrating on what was happening back home on the farm. Robert died on 29 September 1918 during preparations for an offensive on the Hindenburg Line. News of his death must have been delayed as his mother’s last letter, which was eventually returned to her, was dated 16 October. He is buried at Sucrerie military cemetery at Epinoy.